Ken Caldeira is a climate scientist working for the Carnegie Institution for Science, Department of Global Ecology at Stanford University. He investigates issues related to climate, carbon, and energy systems. His primary tools are climate and the carbon cycle models, although he does field work related to ocean acidification. 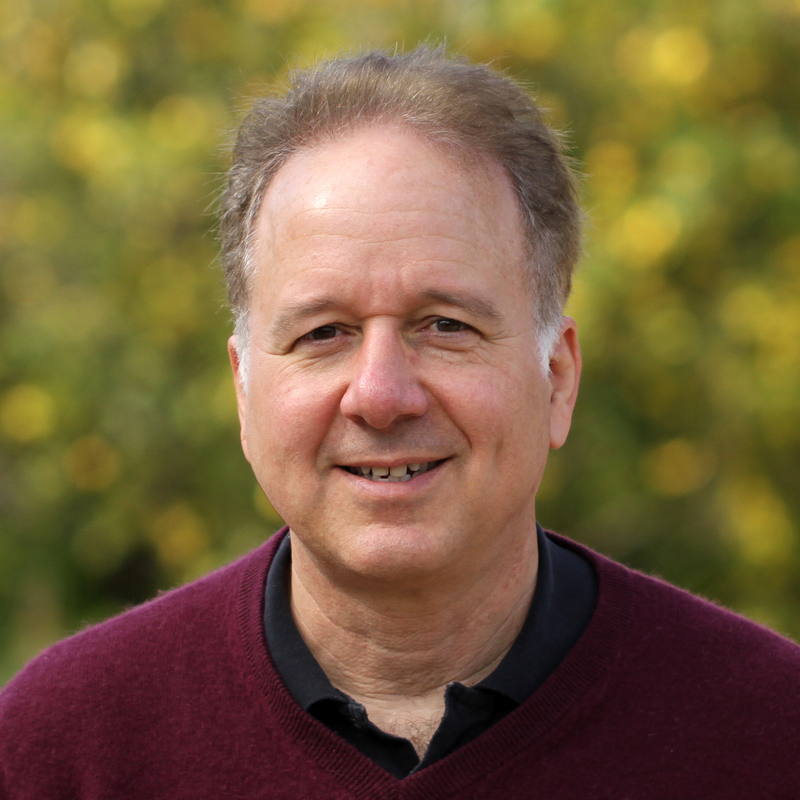 Ken Caldeira is a climate scientist at the Carnegie Institution for Science’s Department of Global Ecology and Professor (by courtesy) in the Stanford University Department of Earth System Science. Professor Caldeira has a wide-spectrum approach to analyzing the world’s climate systems. He studies the global carbon cycle; marine biogeochemistry and chemical oceanography, including ocean acidification and the atmosphere/ocean carbon cycle; land-cover and climate change; the long-term evolution of climate and geochemical cycles; and energy technology. Caldeira received his B.A. from Rutgers College and both his M.S. (1988) and Ph.D. (1991) in atmospheric sciences from New York University. 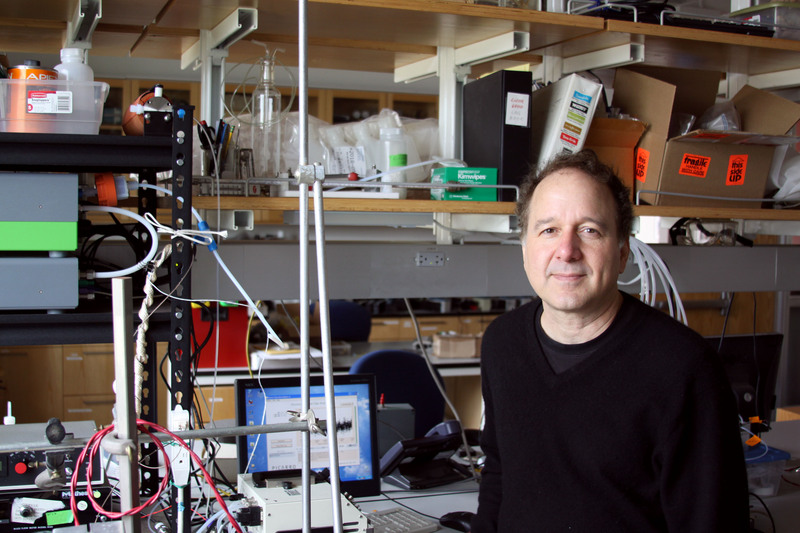 Ken Caldeira is a climate scientist at the Carnegie Institution for Science, where his job is “to make important scientific discoveries.” He also serves as a Professor (by courtesy) in the Stanford University Department of Earth System Science. Caldeira is a member of the committee producing the 2015 U.S. National Academy of Sciences report "Geoengineering Climate: Technical Evaluation and Discussion of Impacts". He is also a contributing author to the Intergovernmental Panel on Climate Change (IPCC) AR5 report Climate Change 2013: The Physical Science Basis. In 2010, he was a co-author of the 2010 US National Academy America's Climate Choices report and was elected Fellow of the American Geophysical Union. He participated in the UK Royal Society geoengineering panel in 2009 and ocean acidification panel in 2005. Caldeira was coordinating lead author of the oceans chapter for the 2005 IPCC report on Carbon Capture and Storage. 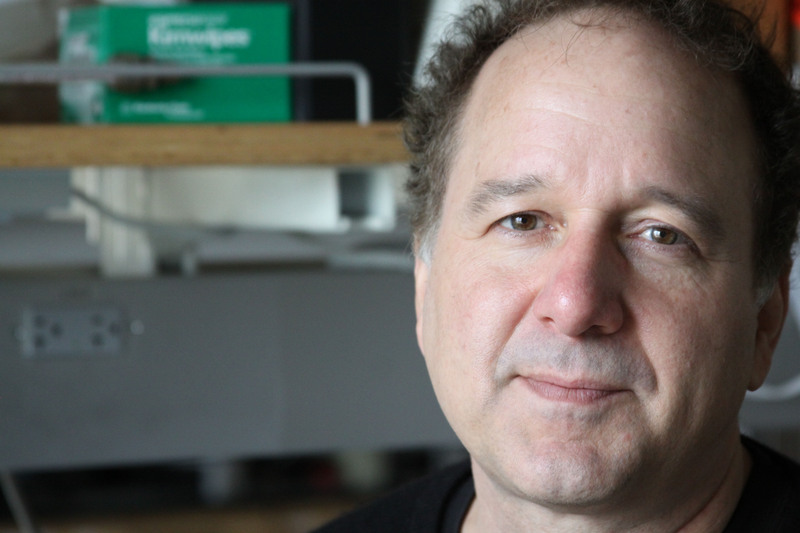 Ken Caldeira is a climate scientist at the Carnegie Institution for Science, where his job is “to make important scientific discoveries.” He also serves as a Professor (by courtesy) in the Stanford University Department of Earth System Science. Among Caldeira’s key contributions to science are his relatively early recognition of the threats posed by ocean acidification, his pioneering investigations into the environmental consequences of intentional intervention in the climate system (“geoengineering”), and the first peer-reviewed study to estimate near-zero-emission energy needs consistent with a 2°C climate stabilization target. He has also played a central role in helping to elucidate what our understanding of long-term geochemical cycles implies for the fate of today’s carbon dioxide emissions. Caldeira is a member of the committee producing the 2015 U.S. National Academy of Sciences report "Geoengineering Climate: Technical Evaluation and Discussion of Impacts". He is also a contributing author to the Intergovernmental Panel on Climate Change (IPCC) AR5 report Climate Change 2013: The Physical Science Basis. In 2010, he was a co-author of the 2010 US National Academy America's Climate Choices report and was elected Fellow of the American Geophysical Union. He participated in the UK Royal Society geoengineering panel in 2009 and ocean acidification panel in 2005. Caldeira was coordinating lead author of the oceans chapter for the 2005 IPCC report on Carbon Capture and Storage. 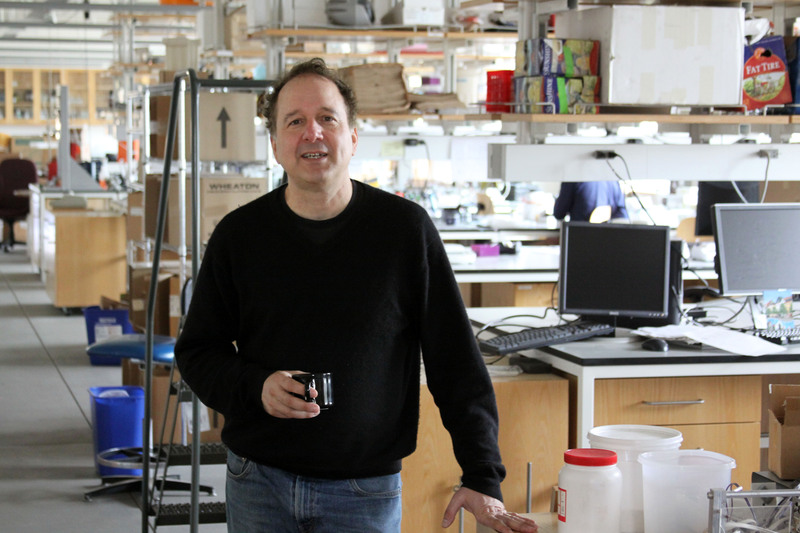 Ken Caldeira has held the position of senior scientist at Carnegie Institution’s Department of Global Ecology on the Stanford University campus in California since 2005. Caldeira is also a Professor (by courtesy) in Stanford University’s Department of Earth System Science, and participates in teaching and advising of Stanford students in that capacity. Professor Caldeira has a wide-spectrum approach to analyzing the world’s climate systems. He studies the global carbon cycle; marine biogeochemistry and chemical oceanography, including ocean acidification and the atmosphere/ocean carbon cycle; land-cover and climate change; the long-term evolution of climate and geochemical cycles; climate intervention proposals; and energy technology. Caldeira has one job responsibility in his position at the Carnegie Institution and that is “to make important scientific discoveries.” To facilitate this discovery process, the Carnegie Institution assures Caldeira funding for himself and approximately 1.5 post-doctoral research assistants, without requiring any specific deliverables. In addition to this base funding, Caldeira has been helping arrange a seminar series for Bill Gates on climate and energy issues, and in his generosity, Mr. Gates has seen fit to support several additional post-doctoral researchers in Prof. Caldeira’s group. Thus, Caldeira’s group is in a very rare scientific situation in which they have funds to do work without having specific deliverables, so they are free to work on issues they deem most important. Caldeira is a member of the committee producing the 2015 U.S. National Academy of Sciences report "Geoengineering Climate: Technical Evaluation and Discussion of Impacts". He is also a contributing author to the Intergovernmental Panel on Climate Change (IPCC) AR5 report Climate Change 2013: The Physical Science Basis. In 2010, Caldeira was elected Fellow of the American Geophysical Union. He was a co-author of the 2010 US National Academy America's Climate Choices report. He participated in the UK Royal Society geoengineering panel in 2009 and ocean acidification panel in 2005. Caldeira was coordinating lead author of the oceans chapter for the 2005 IPCC report on Carbon Capture and Storage. From the early 1990s to 2005, he was with the Energy and Environment Directorate at the Lawrence Livermore National Laboratory where he was awarded the Edward Teller Fellowship (2004), the highest award given by that laboratory. Caldeira did post-doctoral research in the Department of Geosciences at Penn State University and in the Energy and Environment Directorate of Lawrence Livermore National Laboratory. Caldeira received his B.A. from Rutgers College and both his M.S. (1988) and Ph.D. (1991) in atmospheric sciences from New York University. In the 1980’s, Caldeira held a number of positions developing computer software for various clients in New York’s financial district. Among Caldeira’s many key contributions to science are his relatively early recognition of the threats posed by ocean acidification, his pioneering investigations into the environmental consequences of intentional intervention in the climate system (“geoengineering”), and central role in helping to elucidate what our understanding of long-term geochemical cycles implies for the fate of today’s carbon dioxide emissions. Click photos for high resolution version. Credit: Sam Shapiro.